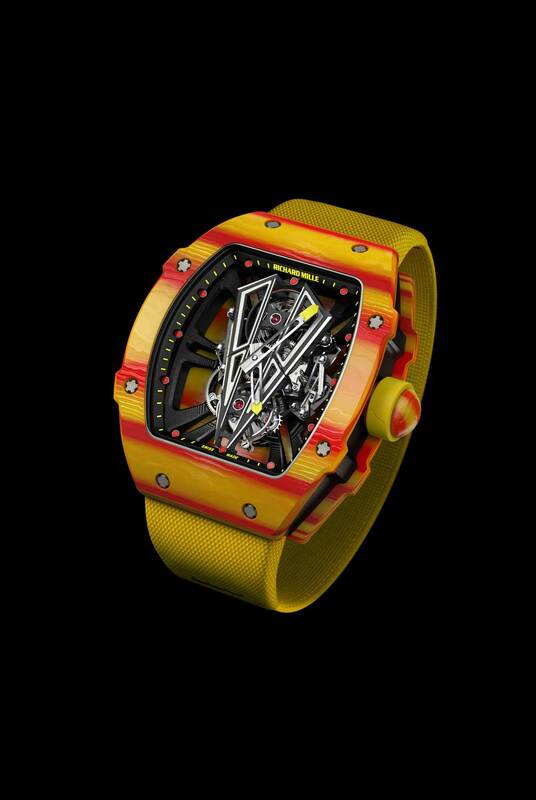 Seven years on since the RM 027, and just on the crux of Roland Garros 2017, Richard Mille has announced the seventh addition to his lineup of extreme watches created in friendship with the Spanish phenome, Rafael “Rafa” Nadal. 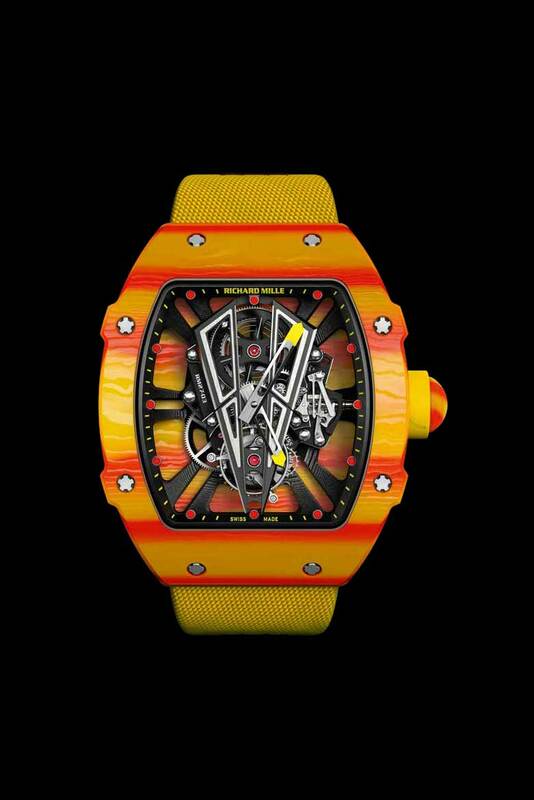 Richard Mille’s guiding principle when designing a watch for Rafa has always been four pronged: The first principle is lightness because Nadal wears these watches when he is on the court. The second is shock resistance because the watches must survive Rafa. The third is comfort because what he wears on his wrist, cannot be allowed to impede his performance. And the fourth — this one’s really just for Mille himself — no compromise must be made in terms of mechanical watchmaking. 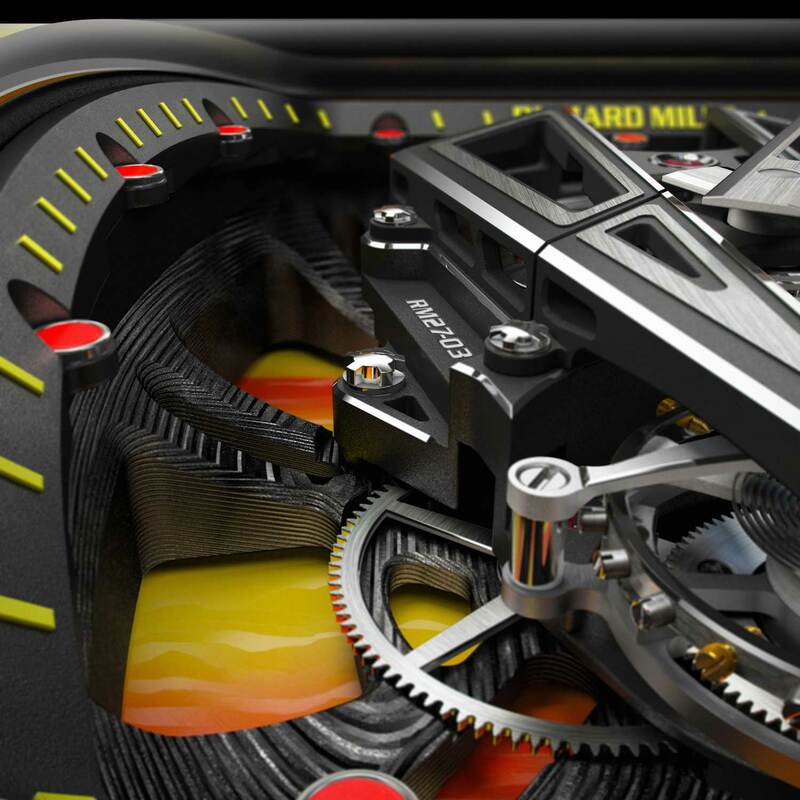 So, here’s how the all new RM 27-03 ticks off all of Richard Mille’s boxes. The RM 27-03 has its case formed out from Quartz TPT®, which boasts a high strength/weight ratio. Meaning to say that the case is as strong as it is light. 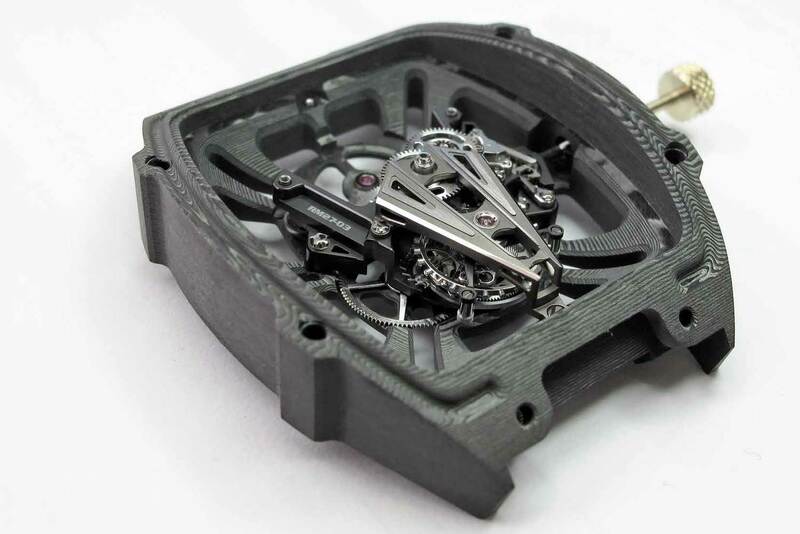 Its baseplate is made from a solitary Carbon TPT® piece, which forms the baseplate as well as the midcase of the watch, on to which the top and bottom of the case are affixed directly. The material, again, adds to the lightness of the watch. But there’s more. The RM 27-03 sports grade 5 titanium bridges, which are extensively skeletonized and formed into this aggressive “V” shape — again adding to the watch’s lightness. But enough superlatives. Brass tax — how much does the RM 27-03 weigh? 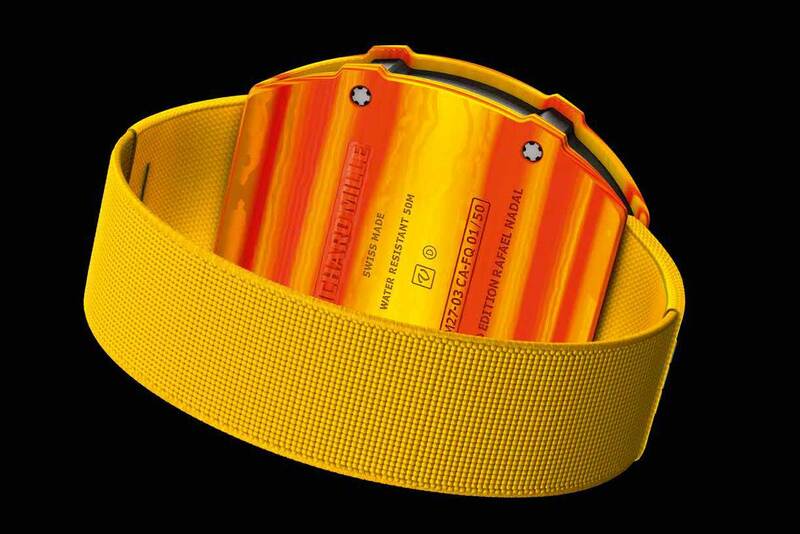 It weighs a total of 34 grams; strap included. From the first time that Richard Mille saw Rafa execute his double-handed backhand, he knew that creating a watch for Nadal wasn’t just a matter of making a comfortable watch that wouldn’t get in the way while he was taking care of business on the court. Rather the watch would just as much, have to survive the onslaught of his tennis strokes, even if he didn’t wear the watch on his playing hand. Simply said, the watch would have to survive Nadal. With that in mind, the RM 27-03 is subject to three different points of duress on ’impact-pendulum’ tests and it was determined that the watch is capable of maintaining its chronometric integrity up to 10,000 g’s. Madness. 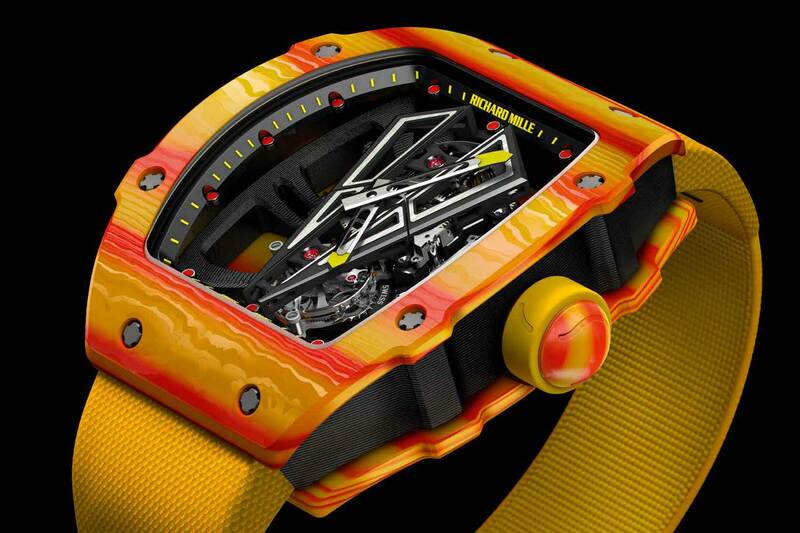 Nadal’s Richard Mille watches list a great number of watchmaking feats. 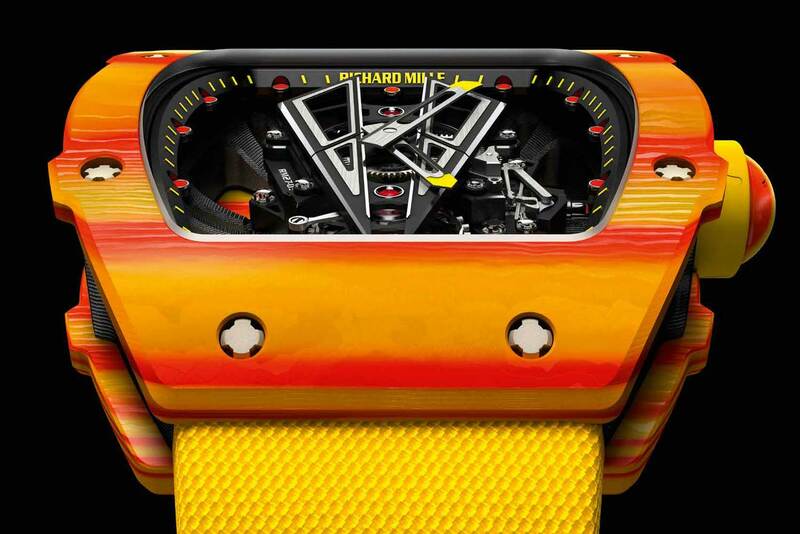 But perhaps, often, overlooked are some feats that make Richard Mille’s watches incredibly wearable. 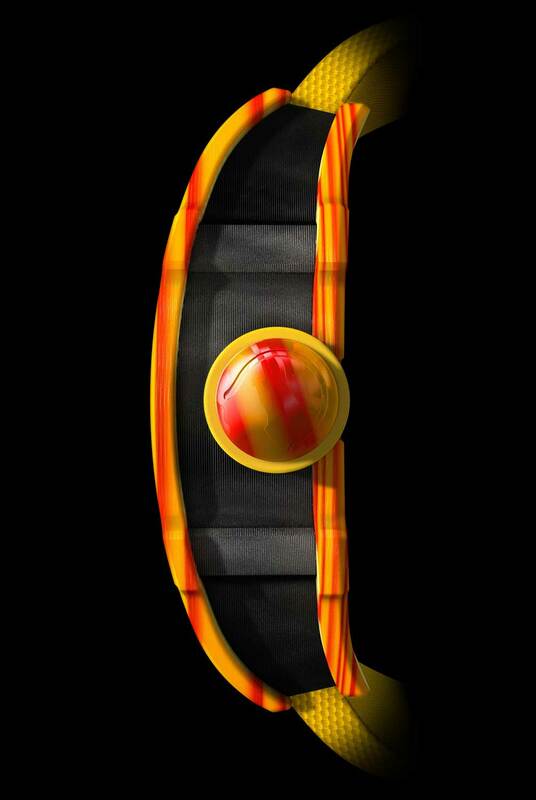 Take for instance the watch’s strap. When Mille first handed Nadal the first prototype of the RM 027, Rafa took it upon himself to wear it during his practices and provide Mille with feedback on how to better the watch. One particular thing he commented about was the watch’s buckle because it was hurting him during play. The solution that Mille thought up was a type of high grade Velcro strap. Although, truth be told — and Mille admits to this — that he had quite the few sleepless nights over this strap because he was worried that it might come undone and go flying over the court, in front of state of the art broadcast cameras with the world watching. But as we know now, the risk was worth it. For the RM 27-03, Mille has opted for his specialized elastic ‘comfort’ strap, which we also saw on the RM 50-03 Tourbillon Split Seconds Chronograph Ultralight McLaren F1. The strap is known to be more comfortable and lighter than the Velcro strap used on the RM 027, while at the same time being far more secure. Because the ‘comfort’ strap has no buckle. Rather it’s just a loop of this special elastic that Rafa can slip over his wrist. With the above three check boxes ticked off and the numbers boasted for the RM 27-03’s weight, shock resistance and comfort, it’s not hard to believe that Richard Mille has allowed himself no compromise in creating the latest Nadal watch. Because it’s fair to say that a watch that weighs a total 34 grams of nothing would not be able to withstand 10,000 g’s if it was in any manner compromised. Which would in turn hamper the watch’s chronometric integrity. It is, therefore, that all of the RM 27-03’s bragging points, became bragging rights. Rafa’s headed into the 2017 French Open, ranked number four on the global roster behind Andy Murray, Novak Djokovic and Stan Wawrinka. No Federer in sight. His withdrawal from the French Open is explained by experts as simply because the clay grounds are not his thing. Rafa on the other hand has made his mark on clay winning the French open in 2005, 2006, 2007, 2008, 2010, 2011, 2012, 2013 and 2014. A win this year will chalk him up for his 10th title at the Roland Garros. The games will kick off proper this Sunday (28 May 2017) and while all eyes will be on Rafa for his 10th title, take a second to also check out the new RM 27-03 he will be wearing on court. With 50 pieces being made, it’s not difficult to suggest that it’s the only time the average immortal like you and I will get to see it.